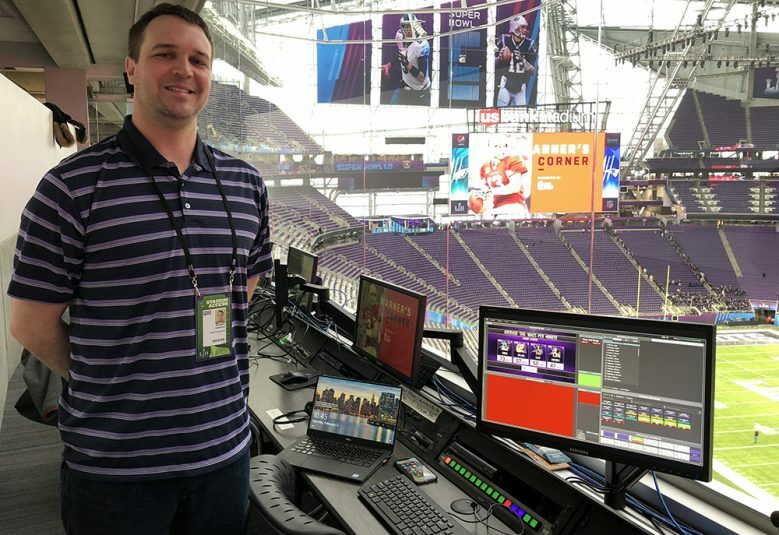 SMT (SportsMEDIA Technology) is bringing a number of Super Bowl firsts to Minneapolis on both the broadcast and the in-venue production side. On NBC’s Super Bowl LII broadcast, SMT will deploy a telestrator on the high SkyCam for the first time and also will have the 1st & Ten line available on additional cameras. The in-venue production will offer the 1st & Ten line on the videoboards for the first time in a Super Bowl and will also feature enhanced NFL Next Gen Stats integration. In addition, during the Super Bowl LII telecast, NBC Sports’ production team will have access to a new telestration system on the high SkyCam for first replays. 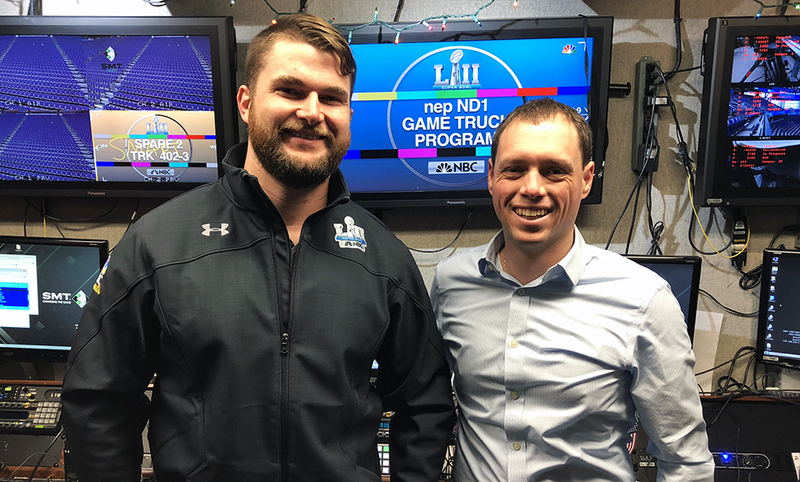 SMT demonstrated it for NBC Sports producer Fred Gaudelli on Friday when a high school football team was on the field, and NBC opted to move forward with the system for the game. In addition to having the live 1st & Ten line on both SkyCams and the same six hard cameras available for NBC’s Thursday Night Football and Sunday Night Football telecasts, SMT has added it to the two goal-line cameras, the all-22 camera, and two more iso cameras. SMT also added next-gen DMX switchboard connectivity to NBC’s scorebug, so on-field graphics will update in real time and list personnel and formations of both teams. Fans at the stadium will be able to see the 1st & Ten line system on the videoboards. For the first time at a Super Bowl, the yellow virtual line will be deployed on three cameras –— on the 50- and both 25-yard lines — for the in-venue videoboard production. Also, SMT is providing a new version of the NFL’s Next Gen Stats data feed unique to the game, offering real-time content not available on broadcasts. Fans inside U.S. Bank Stadium will have access to real-time team and player data, ranging from positional information (Who’s on the field?) to game leaders (Who’s the fastest on the field today? Who’s had the longest plays today?) and quarterback passing grids (How has this QB fared in these zones today?). The production is made possible by SMT’s Dual-Channel SportsCG, a turnkey clock-and-score–graphics publishing system that requires just a single operator. In the lead-up to the game, SMT worked with the league to merge the NFL Game Statistics & Information System (GSIS) feed with NFL Next Gen Stats API to come up with a simple lower-thirds graphics interface. This will allow the graphics operator to easily create and deploy a host of new deep analytics graphics on the videoboard during the game.